You can try the software for free prior to purchasing. When you purchase the software, you will receive a license key to unlock the software. You may need to renew your license to use a newer version. You can check your license renewal date here. 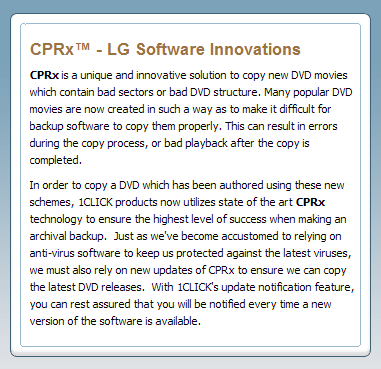 You can update the software for free at any time during the first year after your purchase, using the links below. Simply install the new version overtop of the previous version. Each 1CLICK download file is signed using a VeriSign Class 3 Digital Certificate to authenticate us as the publisher of the software and to protect the software from alteration after publication.